New York, NY, December 21, 2007 - The Dog Federation of New York (DFNY), a statewide coalition of dog owners and dog-related organizations, today voiced grave concern over a proposal before the Auburn City Council to place numerous restrictions on responsible and caring dog owners and disregard New York State laws. Elected officials in Auburn, New York began consideration of a proposal which curtails ownership of Doberman Pinschers, Bull Terriers and “pitbulls”, in direct violation of the long-standing New York state law which protects residents from breed discrimination. Auburn plans to negatively profile and penalize dogs and dog owners based on the dog’s appearance, not behavior. The plan also arbitrarily limits the number of dogs permitted in each Auburn home and defines hunting dogs as “dangerous.” DFNY points out that limit laws jeopordize dog lovers, those who rescue or foster animals and home hobby breeders, forcing them to move from their homes or give up their pets. There is no grandfather clause included in the proposal. The Auburn ordinance would also eliminate the rights of dog owners to court hearings, the appeals process, and other basic civil rights. Angered city residents are rallying to oppose the lengthy and burdensome proposal. “Auburn’s pet owners are not second class citizens, and we are particularly concerned about the civil rights issues and the violations of long-standing state laws. Pet owners in Auburn, New York are entitled to the same rights and responsibilities as every other American citizen,” said DFNY spokesperson Mahlon Goer. 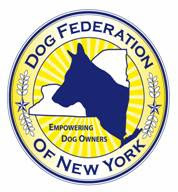 The Dog Federation of New York sent a letter to the City Council urging officials to set the proposed ordinance aside. “Quality of life is important for all of Auburn’s residents, but this is not a solution to barking dog complaints,” continued Goer.